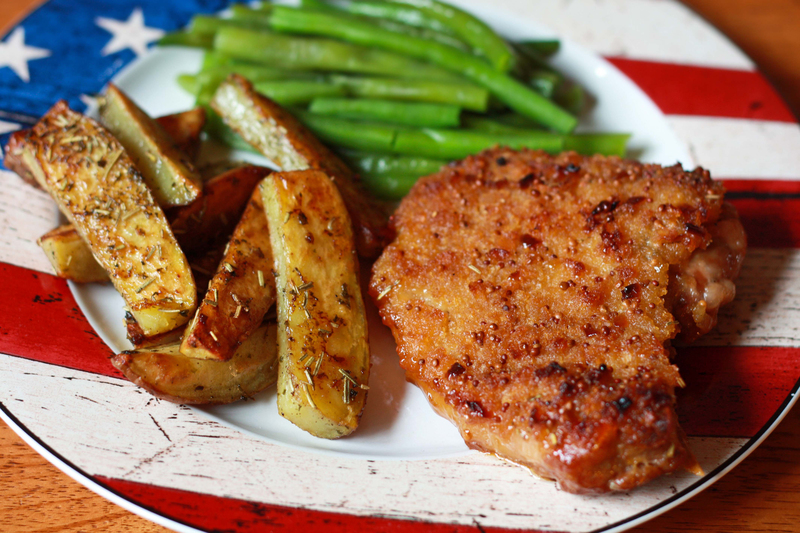 What is more All-American than a pork chop dinner? These Southern-style pork chops with their soft yet crispy coatings full of fruity flavor will have you savoring every mouthful. The herby roasted potato wedges will have you clamoring for seconds. 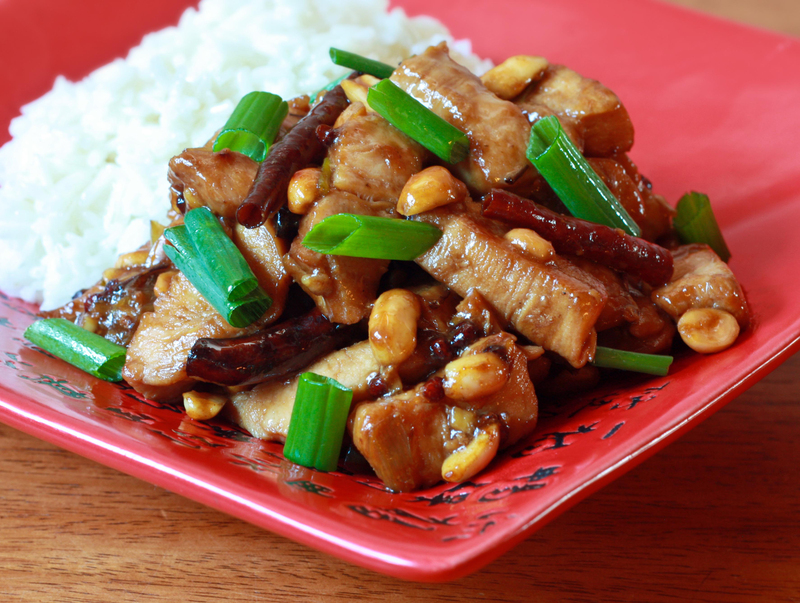 Originating in the Sichuan Province of China, Kung Pao Chicken has been a popular staple throughout China and the Western world. It is believe to have been named after the governor of Sichuan, Ding Baozhen of the Qing Dynasty. His official title, Gong Bao (meaning “palatial guardian”), is thought to have inspired the name of the dish. The name continued until the Cultural Revolution when any association with Ding Baozhen became politically incorrect. Thus, the name of the dish was changed to simply “fast-fried chicken cubes” or “chicken cubes with seared chiles” until the 1980′s when the political climate cooled and it’s original name was reclaimed. I love Autumn. I love the colors, I love the smells. I love the cool air that carries with it the invitation to sit down and enjoy some good, hearty comfort food. The variety of fresh squash that can be found is another reason I love the Fall. 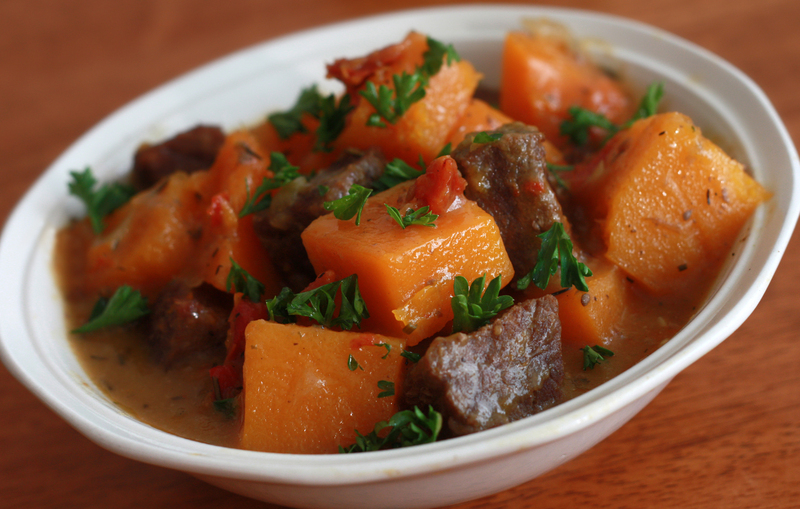 This delicious stew, while rich and hearty, is laced with the delicate undertones of rosemary and Marsala wine. Sun-dried tomatoes offer another wonderful layer of flavor. Equally delicious any time of the year!